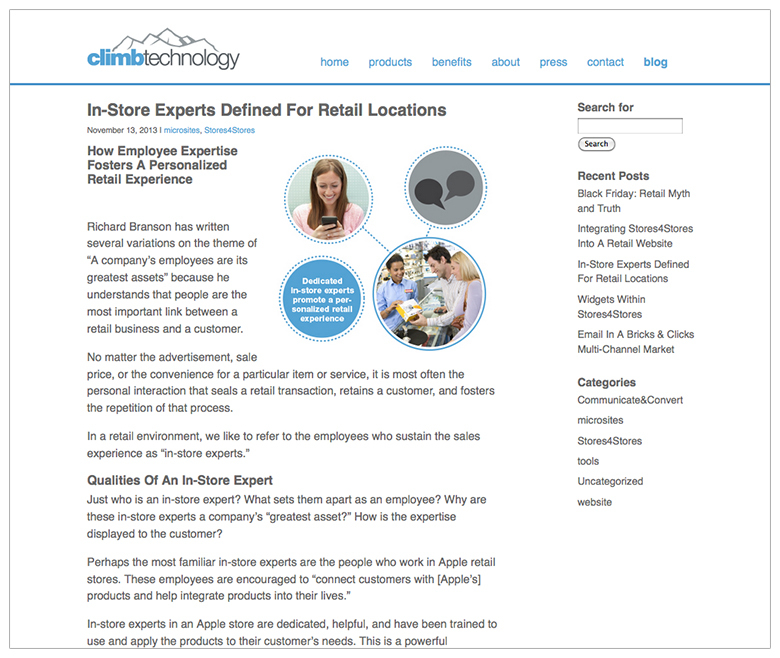 Climb Technology is a software company that provides web-based applications that enhance communication between multi-store retailers and their customers. 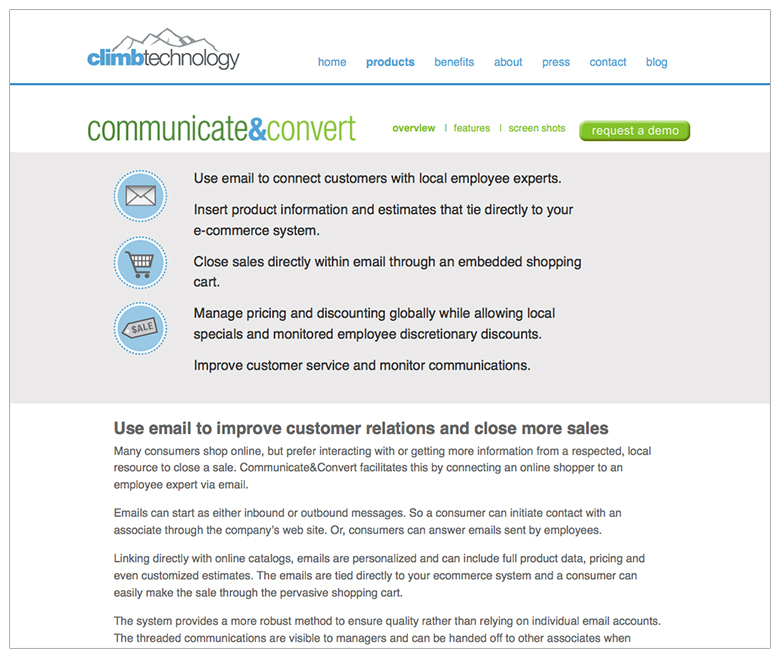 Visible Logic worked with Climb Technology to create graphics, a web site and printed materials that quickly explained a suite of complex and interconnected software. 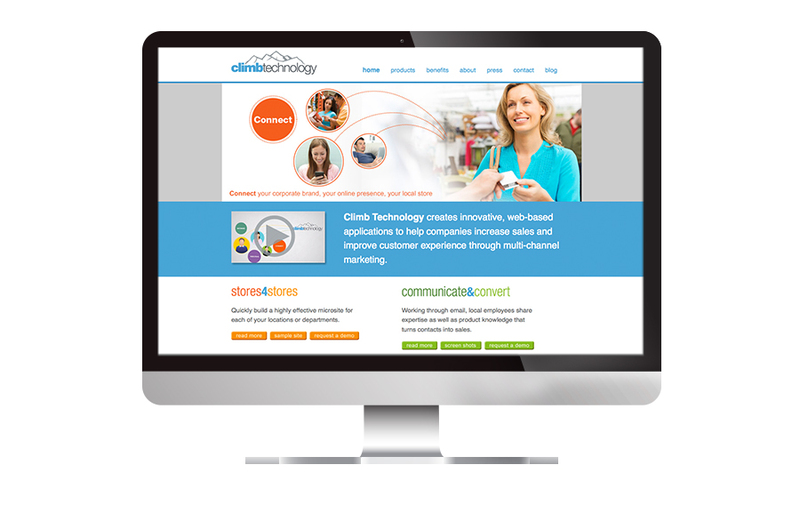 Visible Logic designed a clean and cohesive WordPress site design, with photographic and graphic elements highlighting a positive customer experience. Visible Logic developed a library of icon-driven graphics that quickly identified the benefits of the software and could be used in a variety of marketing campaigns. As an outgrowth of the web site, Visible Logic wrote blogs and social media content to promote the company.